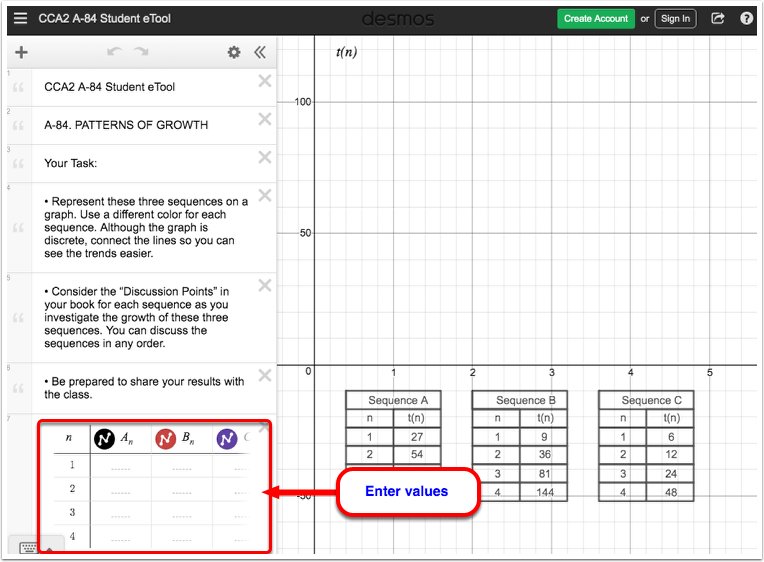 Use this eTool to help you visualize the patterns of growth and complete the task in problem A-84. Represent these three sequences on a graph. Use a different color for each sequence. Although the graph is discrete, connect the lines so you can see the trends easier. Consider the discussion points below for each sequence as you investigate the growth of these three sequences. You can discuss the sequences in any order. Be prepared to share your results with the class. 1. Complete the table in line 7.